Where did the Swedes come from? There is no direct history connecting the tribe of Naphtali to the Swedish people. We are talking about one of the lost tribes. Even the Caucasian population of Sweden comes from various backgrounds. One can compare this to Jewry. 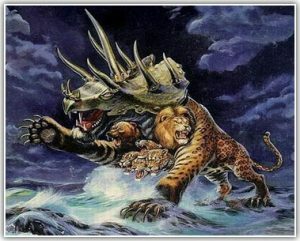 The Jewish people have known many proselytes, yet, there has been a core of the tribe of Judah (and some of Levi & Benjamin) over the past 2500 years. The core passes on characteristics and genes to the periphery. Looking at the ‘prophetic clues’ one has to conclude that a core of the tribe of Naphtali once found its way to Sweden. This core passed its characteristics and genes on to the influx of others. The more fulfilled prophetic clues we find, the stronger our case. What follows is not historic proof, but proof by revelation. And Bilhah Rachel’s maid conceived again, and bare Jacob a second son. And Rachel said, With great WRESTLINGS [naphtulei] have I WRESTLED [niphtalti] with my sister, and I have prevailed: and she called his name Naphtali (Gen 30:7-8, AV throughout, unless noted otherwise). Rachel had Jacob’s love. Leah did not, but she had offspring, very important in antiquity. There was an ongoing struggle between the two sisters for Jacob’s love. Rachel was the favourite, but Leah got four sons. Rachel was barren. In their ‘wrestling-contest’ Rachel gave her maid Bilhah to Jacob, just like Saraï gave Hagar to Abram in the past. Bilhah got a son and Rachel named him Dan (judge). But it was not enough. She gave Bilhah to Jacob again. Rachel named Bilhah’s second son Naphtali, ‘my wrestling’, referring to the wrestling with her sister. Like Rachel wrestled with her sister, so the Swedes (Naphtali) wrestled with their brother-tribe Denmark-Norway (Benjamin). After the time of the Vikings the Swedes got into political connections with Denmark and Norway. In 1523 the Swedes were able to gain independence. Wikipedia: A large number of children inherited the Swedish crown over the course of the kingdom’s existence; consequently real power was held for long periods by regents (notably those of the Sture family) chosen by the Swedish parliament. King Christian II of Denmark, who asserted his claim to Sweden by force of arms, ordered a massacre in 1520 of Swedish nobles in Stockholm. This came to be known as the “Stockholm blood bath” and stirred the Swedish nobility to new resistance and, on 6 June (now Sweden’s national holiday) in 1523, they made Gustav Vasa their king. This is sometimes considered as the foundation of modern Sweden. Shortly afterwards he rejected Catholicism and led Sweden into the Protestant Reformation. Naphtali is a hind LET LOOSE … (Gen 49:21a). Nephthali est une biche EN LIBERTÉ … (Gen 49:21a, LSG). The LORD also spake unto Joshua, saying, Speak to the children of Israel, saying, Appoint out for you CITIES of REFUGE, … And they appointed KEDESH in Galilee in mount Naphtali … (Joshua 20:1-2, 7). Genesis 49 is about prophecies concerning the tribes in the end time (acharit hayamim, verse 1). Jacob compared the tribe of Naphtali with a female deer, a hind set free. Something of that freedom can also be seen in the fact that Kedesh in Naphtali was a city of refuge. Sweden has been a ‘city of refuge’ for many over the past decades. Swedes are very fond of their freedom, of their liberty, both nationally and individually. Wikipedia: Pippi is portrayed as being a friendly and kind girl, but one with no “proper” manners and having no training or experience in how to behave in normal society, that is, any society other than the very freewheeling and non-regimented one aboard her father’s ship … Her behavior is highly exasperating to many adults … Otherwise she seems trustworthy and loyal to her friends. In 1766 the first freedom of the press act was born in Sweden, and today we’ve climbed to second place in the global press freedom ranking (May 3rd, 2017). Naphtali is a hind let loose: HE GIVETH GOODLY WORDS (Gen 49:21). IL PROFÈRE DE BELLES PAROLES (Genèse 49:21). It is good to emphasize again that according to Genesis 49:1, these prophecies are for the endtime, acharit hayamim. ‘Goodly words’, ‘omrei shafèr’, ‘de belles paroles’, should be applied in the first place to the Swedish language. Swedish is very musical. It sometimes sounds as if they are singing their language. It is the tonality of the language that gives Swedish its characteristic, easily recognizable melody. “The Swedish chef” of TV comedy [The Muppets] doesn’t speak Swedish at all, but is immediately recognised by the audience as Swedish, only because of his (rather badly) imitated Swedish tonality. Standard Swedish is one of the few European languages — together with Norwegian — which exhibit tone within words as well as sentences. The functional “questioning tone” – when the tone in an interrogative sentence goes up at the end – is commonplace in most European languages, but in Swedish the tone is applied to all sentences, irrespective of function, and to most words. Like Chinese, but mostly meaningless. The predominant Swedish tone is similar to the 3rd tone in Chinese Mandarin (high-low-high, i.e. the tone starts from a certain level, goes deeper down, and then rises up again). Mandarin tones only apply to vowels (and diphthongs) in the monosyllabic Chinese words, but the Swedish tone is also applied to consonants and to polysyllabic words. Another difference is that the Chinese tones have semantic functions, while the semantic function of Swedish tones is limited to just a few instances – its main role is to give Swedish its characteristic “singing” language melody. If you misplace Chinese tones, then your sentence can easily become unintelligible, while misplaced Swedish tones merely expose you as a foreigner. Speaking of goodly words, we also think of the Swedish Nobel prizes. Wikipedia: Alfred Bernhard Nobel (21 October 1833 – 10 December 1896) was a Swedish chemist, engineer, inventor, businessman, and philanthropist. Known for inventing dynamite, Nobel also owned Bofors, which he had redirected from its previous role as primarily an iron and steel producer to a major manufacturer of cannon and other armaments. … After reading a premature obituary which condemned him for profiting from the sales of arms, he bequeathed his fortune to institute the Nobel Prizes. Wikipedia: Nobel Prizes: The prize ceremonies take place annually in Stockholm, Sweden (with the exception of the peace prize, which is held in Oslo, Norway). Each recipient, or laureate, receives a gold medal, a diploma, and a sum of money that has been decided by the Nobel Foundation. The Nobel Prize is widely regarded as the most prestigious award available in the fields of literature, medicine, physics, chemistry, peace, as is the Prize in Economic Sciences. Wikipedia: According to the statutes of the Nobel Foundation, each laureate is required to give a public lecture on a subject related to the topic of their prize. The Nobel lecture as a rhetorical genre took decades to reach its current format. These lectures normally occur during Nobel Week (the week leading up to the award ceremony and banquet, which begins with the laureates arriving in Stockholm and normally ends with the Nobel banquet), but this is not mandatory. The laureate is only obliged to give the lecture within six months of receiving the prize. Swedish literature has produced seven winners of the Nobel Prize in Literature. One of them is Selma Lagerlöf (1909). And of Naphtali [Moses] said, O Naphtali, SATISFIED with FAVOUR, and FULL with the BLESSING of the LORD … (Deut 33:23). And of Naphtali [Moses] said: — O Naphtali, SATISFIED with PLEASURE, And FULL of the BLESSING of Jehovah, (Deut 33:23, YLT). Even in antiquity Naphtali was satisfied, full of the favour and of the blessing of the LORD. 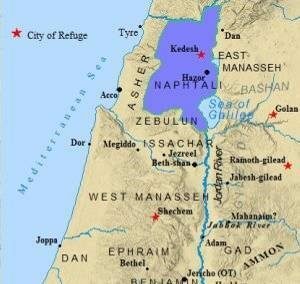 The tribal area of Naphtali was the most fertile of Canaan (eastern Galilee). Josephus called the tribal area of Naphtali ‘a paradise on earth’. Wikipedia: Sweden is a competitive mixed economy featuring a generous universal welfare state financed through relatively high income taxes that ensures that income is distributed across the entire society, a model sometimes called the Nordic model. Approximately 90% of all resources and companies are privately owned, with a minority of 5% owned by the state and another 5% operating as either consumer or producer cooperatives. Because Sweden as a neutral country did not actively participate in World War II, it did not have to rebuild its economic base, banking system, and country as a whole, as did many other European countries. Sweden has achieved a high standard of living under a mixed system of high-tech capitalism and extensive welfare benefits. Sweden has the second highest total tax revenue behind Denmark, as a share of the country’s income. As of 2012, total tax revenue was 44.2% of GDP, down from 48.3% in 2006. Sweden is blessed with tremendous natural wealth—timber, iron ore, hydropower—and a population with a flair for technology and business creativity. Swedes invented the steam turbine, ball bearings, and the safety match, launching businesses that brought in profits from around the world. Swedish companies, such as the automakers Volvo and Saab, the retailer Ikea, and the telecommunications giant Ericsson, shrugged off the heavy burden of taxes and pensions, and competed ably in global markets. But trouble began to enter the Swedish paradise in the late 1970s. The term ‘the Swedish Paradise’ is used quite often, both in positive and negative ways. Sweden is full with favour and blessing of the LORD. Their last war was in 1814. You Naftali, satisfied with favor and full of blessing from ADONAI, TAKE POSSESSION of the SEA and the south (D’varim 33:23, Complete Jewish Bible). And of Naphtali he said, O Naphtali, … the SEA (Hebr. – yam) and its fishes will be his (Deut 33:23b, BBE). En van Naftali zei hij [Mozes]: Naftali … NEEM HET MEER [POSSESS the LAKE!] IN BEZIT en het ZUIDEN (Deut 33:23b, Dutch). The second part of Moses’ blessing was that Naphtali would take possession of the lake/sea and the south. In Hebrew it says ‘yam’, which can mean lake (of Galilee), inland sea (Dead Sea) or sea (Mediterranean Sea). The Dutch Groot Nieuws Bijbel translates this as ‘take the lake of Kinneret, the lake and its surroundings’. According to http://www.thelocal.se/20080612/12382 there are at least 100.000 lakes in Sweden. The original Swedes (Svear) lived in the middle of Sweden. They conquered the south and the lakes of the south in the Middle Ages. 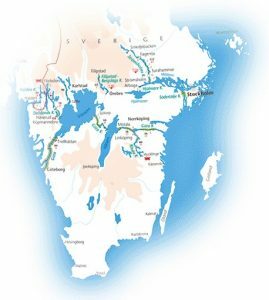 The biggest lakes are: Vänern (5519 km²) , Vättern (1886 km²) , Mälaren, Hjälmaren, Storsjön, Torneträsk, Siljan, Hornavan, Akkajaure, en Uddjaure. For five centuries (ca. 1300 – 1800 AD) Finland was part of Sweden. (There are still 5% Swedish speaking Finns in Finland). Finland has of course even more lakes. According to Wikipedia there are 187,888 lakes in Finland, which are bigger than 500 m². When the Swedes took possession of Finland, they also took possession of its lakes. It is less known that the Swedish Vikings went south, far into what is modernday Russia. Wikipedia: The Varangians or Varyags … sometimes referred to as Variagians were Scandinavians, often Swedes, who migrated eastwards and southwards through what is now Russia, Belarus and Ukraine mainly in the 9th and 10th centuries. Engaging in trade, piracy and mercenary activities, they roamed the river systems and portages of Gardariki, reaching the Caspian Sea and Constantinople. Contemporary English publications also use the name “Viking” for early Varangians in some contexts. The Swedish Vikings also took possession of the sea and the south. Naphtali taking possession of the sea (Hebr. yam) and the south is also applicable to Sweden’s Golden Age. The Baltic Sea became more or less a Swedish lake in the 17th and 18th century. 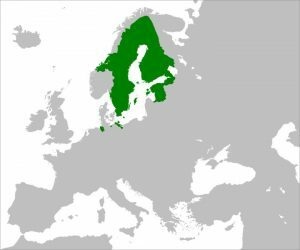 Wikipedia: The Swedish Empire (Swedish: stormaktstiden, “the era of great power”) refers to the Kingdom of Sweden’s territorial control of much of the Baltic region during the 17th and early 18th centuries, a time when Sweden was one of the great European powers. The beginning of the Empire is usually taken as the reign of Gustavus Adolphus, who ascended the throne in 1611, and the end as the loss of territories in 1721 following the Great Northern War. In Swedish history, the period is referred to as stormaktstiden, literally meaning “the Great Power era”. The standard of the camp of Dan shall be on the NORTH side … Then the tribe of Naphtali … (Num 2:25, 29). Now these are the names of the tribes. From the NORTH end to the coast of the way of Hethlon … And by the border of Dan, from the east side unto the west side, a portion for Asher. And by the border of Asher, from the east side even unto the west side, a portion for NAPHTALI (Ezekiel 48:1-3). The tribe of Naphtali is strongly connected with the north. The twelve tribes were placed around the tabernacle in groups of three. 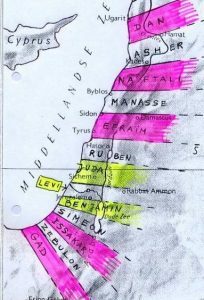 Naphtali belonged to the three tribes north of the tabernacle. The land of Naphtali is not just the tribal area of Naphtali, but can mean all of Galilee, the north of Israel (2Ki 15:29; Isa 9:1). When Joshua gave the tribes their territories, Naphtali became the most northern tribe. The Danites did not arrive up north until the time of the judges. Ezekiel 40-46 describes the Temple of the 7th Millennium. Ezekiel 47-48 gives the new tribal areas for the returning remnants of the tribes. There are many changes in this new tribal order. Zebulun and Issachar no longer live up north, and Judah lives north of Jerusalem instead of south. However, Naphtali stays up north and belongs to the three most northern tribes. The 9 million Swedes are the most northern population of that size. Sweden is situated between the 55th and 70th parallel. Most Canadians and Russians live further south on the globe. Finland (5,5 million), Norway (5 million) and Alaska (735,000) have fewer inhabitants. Sweden is the biggest country of northern Europe. Thy sun, Thy sky, Thy climes green. Yes, I want to live, I want to die in the North. With God I shall fight for home and for hearth, for Sweden, the beloved native soil. No, I want to live, I want to die in the North! The north is a common feature in Naphtali and Sweden. That is clear. 6 And she sent and called BARAK the son of Abinoam out of Kedesh NAPHTALI, and said unto him, Hath not the LORD God of Israel commanded, saying, Go and draw toward mount Tabor, and take with thee ten thousand men of the children of Naphtali and of the children of Zebulun? 9 And she said, I will surely go with thee: notwithstanding the journey that thou takest shall not be for thine honour; for the LORD shall sell Sisera INTO THE HAND OF A WOMAN. And Deborah arose, and went with Barak to Kedesh (Judges 4:4-9). The story of Barak and Deborah is the one with the greatest male/female equality in the Bible. You have to go and fight Sisera, said Deborah. Only if you come along, said Barak. Barak was a Naphtalite from Kedesh. Wikipedia: Women in Sweden: During the Viking Age, women had a relatively free status in the Nordic countries of Sweden, Denmark and Norway … The paternal aunt, paternal niece and paternal granddaughter, referred to as ‘odalkvinna’, all had the right to inherit property from a deceased man. In the absence of male relatives, an unmarried woman with no son could further more inherit the position as head of the family from a deceased father or brother: a woman with such status was referred to as ‘ringkvinna’, and she exercised all the rights afforded to the head of a family clan, such as the right to demand and receive fines for the slaughter of a family member, until she married, by which her rights were transferred to her husband. Wikipedia: Feminism in Sweden: Women policy makers. Women in Sweden are 45% of the political representatives in the Swedish Parliament. Women make up 43% of representatives in local legislatures. Women are 52% of the Ministers in the Swedish Government (November 2015). While there are no legal quotas for female candidates in Sweden, most parties have internal policies to promote the participation of women … Gender mainstreaming. The Swedish government assesses all policy according to the tenets of gender mainstreaming. Gender mainstreaming is used in government offices, central government agencies, regional governments, municipalities and local government. This has been the case since 1994, with gender mainstreaming meaning that gender, in a stakeholder sense as members of society, is taken into account when government considers new policies … Gender and policy. Sweden has a Minister for Gender Equality. The Swedish government allocates money specifically to gender equality in the annual budget. In 2014 the Swedish government allocated 252 million Krona for gender equality. Swedish political parties across the political spectrum commit to gender-based policies in their public political manifestos. And king Solomon sent and fetched Hiram out of Tyre. He was a widow’s son of the TRIBE of NAPHTALI, and his father was a man of Tyre, a worker in BRASS: and he was filled with wisdom, and understanding, and cunning to work all works in BRASS. And he came to king Solomon, and wrought all his work. For he cast two pillars of BRASS … And he made two chapiters of molten BRASS, to set upon the tops of the pillars … And he set up the pillars in the porch of the temple: and he set up the right pillar, and called the name thereof Jachin: and he set up the left pillar, and called the name thereof Boaz … And he made a molten sea, ten cubits from the one brim to the other: it was round all about, and his height was five cubits: and a line of thirty cubits did compass it round about … It stood upon twelve oxen, three looking toward the north, and three looking toward the west, and three looking toward the south, and three looking toward the east: and the sea was set above upon them, and all their hinder parts were inward … And he made ten bases of BRASS … And every base had four brasen wheels, and plates of BRASS … Then made he ten lavers of BRASS … And Hiram made the lavers, and the shovels, and the basons. So Hiram made an end of doing all the work that he made king Solomon for the house of the LORD … and all these vessels, which Hiram made to king Solomon for the house of the LORD, were of bright BRASS (1Ki 7:13-45). Golden era. In the 17th century, production capacity peaked. During this time, the output from the mine was used to fund various wars of Sweden during its great power era. The Privy Council of Sweden referred to the mine as the nation’s treasury and stronghold. 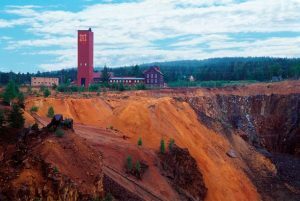 The point of maximum production occurred in 1650, with over 3,000 tonnes of copper produced. Sweden had a virtual monopoly on copper which it retained throughout the 17th century. The only other country with a comparable copper output was Japan, but European imports from Japan were insignificant. In 1690, Erik Odhelius, a prominent metallurgist, was dispatched by the King to survey the European metal market. Although copper production had already begun to decline by the time he made his report, something Odhelius made no secret of, he stated, “For the production of copper Sweden has always been like a mother, and although in many places within and without Europe some copper is extracted it counts for nothing next to the abundance of Swedish copper”. Nevertheless THE DIMNESS shall not be such as was in her vexation, when at the first he lightly afflicted the land of Zebulun and THE LAND OF NAPHTALI, and afterward did more grievously afflict her by the way of the sea, beyond Jordan, in Galilee of the nations. The people that walked IN DARKNESS have seen A GREAT LIGHT: they that dwell in the land of THE SHADOW OF DEATH, upon them hath THE LIGHT SHINED (Isa 9:1-2). And leaving Nazareth, He came and dwelt in Capernaum, which is upon the seacoast in the regions of Zebulun and NAPHTALI, that it might be fulfilled which was spoken by Isaiah the prophet, saying, “The land of Zebulun and THE LAND OF NAPHTALI, by the way of the sea, beyond the Jordan, Galilee of the Gentiles: the people who sat IN DARKNESS saw A GREAT LIGHT; and to them that sat in the region and SHADOW OF DEATH, LIGHT has SPRUNG UP.” (Matthew 4:13-16, KJ21). The Jews lived in the land of Naphtali (Capernaum) in darkness, at the time of the New Testament. They saw a great light, Jesus Christ. That is what the prophecy is about in the first place. However, prophecies often have more than one fulfilment. So this prophecy can also be seen as a clue connecting Naphtali with Sweden. In northern Sweden the sun does not rise around the 21st December. There is darkness, but from time to time the northern lights can be observed. Wikipedia: An aurora, sometimes referred to as a polar lights or northern lights, is a natural light display in the sky, predominantly seen in the high latitude (Arctic and Antarctic) regions. Walpurgisnight is also celebrated in Sweden. Wikipedia: On the last day of April Walpurgis Night (Valborg) is celebrated throughout Sweden to greet spring. This is done by igniting large bonfires and singing songs celebrating the coming of springtime. Wikipedia on Swedish festivals: The second most important festivity in the Swedish calendar, or perhaps for many the most important, is Midsummer, ‘midsommar’. Midsummer’s Eve is celebrated on the eve of the Friday between the 20 and 26 June. Wikipedia: Part of the Swedish tradition is the celebration of Lucia (Saint Lucia Day). She is the only saint to be celebrated in Lutheran Sweden (as well as those parts of Norway and Finland, where Swedish influence has historically been prominent). The celebration, which, however, is not a public holiday, always takes place on 13 December and retains many pre-Christian traditions. The same is also true for many holidays in Sweden … It is said that to vividly celebrate Saint Lucy’s Day will help one live the long winter days with enough light. Lucia / Lucy means light (lux). Darkness and light are very prominent in Swedish life and culture. Naphtali sitting in darkness, but seeing many lights. Sweden has also been a great defender (Gustav II Adolph) of the Reformation: a great light. The Bible (light!) was translated into Swedish in 1541. And Laban gave to Rachel his daughter Bilhah his handmaid to be her maid (Gen 29:29). And she gave him Bilhah her handmaid to wife: and Jacob went in unto her … And Bilhah Rachel’s maid conceived again, and bare Jacob a second son. And Rachel said, With great wrestlings have I wrestled with my sister, and I have prevailed: and she called his name Naphtali (Genesis 30:4, 7-8). And he began then to say: Hear, my children, ye sons of Naphtali, hear the words of your father. I was born from Bilhah, and because Rachel dealt craftily, and gave Bilhah in place of herself to Jacob, and she conceived and bare me upon Rachel’s knees, therefore she called my name Naphtali. For Rachel loved me very much because I was born upon her lap; and when I was still young she was wont to kiss me, and say: May I have a brother of thine from mine own womb, like unto thee. Whence also Joseph was like unto me in all things, according to the prayers of Rachel (Testament of Naphtali, Ch.1:5-8). And his father refused, and said, I know it, my son, I know it: he [Manasseh] also shall become a people, and he also shall be great [USA]: but truly his younger brother [Ephraim] shall be greater than he, and his seed shall become a Multitude of Nations [British Common Wealth] (Gen 48:19). In the Testament of Naphtali, the Patriarch Naphtali claimed a special bond with Joseph, through his mother Bilhah, who gave birth to him on Rachel´s knees. After Rachel´s death Bilhah looked after Joseph and Benjamin. There is also a special bond among the Rachel Tribes in the endtime. The Leah Tribes are mainly located on the continent of Europe: Issachar (Northern Benelux); Zebulun (Central Benelux); Asher (Southern Benelux); Reuben (France, except for the south) and Gad (parts of Switzerland and eastern France). The Rachel Tribes are situated in Scandinavia and the British Isles: Dan (Ireland); Joseph (England), Benjamin (Denmark, Norway and Iceland) and Naphtali (Sweden). The Bilhah Tribes Dan (Ireland) and Naphtali (Sweden) are at the flanks of Joseph and Benjamin. There is a special bond between the peoples of the British Isles and Scandinavia. Naphtali (Sweden) has a special tie with Manasseh (USA). Many Swedes have emigrated to America. There is more, but the above ten clues are the stongest indications for me that the Swedes are from the Tribe of Naphtali. Of the sons of Naphtali after their families … of Guni, the family of the Gunites (Num 26:48). While I believe that history helps demonstrate that the tribe of Napthali dominates the nation known as Sweden, Bert Otten has added a variety of observations that many have not considered. A few weeks ago, my wife and I were is Sweden for the first time. We saw many canals, wealth, and even visited the Nobel Museum, while we also noticed that Sweden was moving towards becoming a cashless society. cf. Revelation 13:16-18. See also Sweden going to ‘666’ cashlessness? This entry was posted on Friday, June 16th, 2017 at 3:00 pm	and is filed under Prophecy, WCG News.